Trans New Yorkers finally enjoy the same rights as everyone else. Sixteen years of work has finally paid off. New York’s state legislature passed a law passed the Gender Expression Non-Discrimination Act, or GENDA, a bill to protect transgender people from discrimination, the Daily Beast reports. The bill adds gender identity as a protected class when it comes to housing, employment and public accommodations. Until this law’s passing, it has been legal for businesses, landlords and more to discriminate against New York state’s estimated 78,600 transgender residents. New York Gov. Andrew Cuomo applauded the legislature for passing GENDA on Twitter. Cuomo, who has pledged to officially sign GENDA into law, issued an executive order protecting transgender people from discrimination in 2015, but this policy will further ensconce these protections. It’s taken 16 years for GENDA to finally pass in the New York legislature after years of a Republican-led senate shutting down the bill’s prospects. Out state senator Brad Hoylman (D-Manhattan) tweeted a thread just before the bill’s vote. 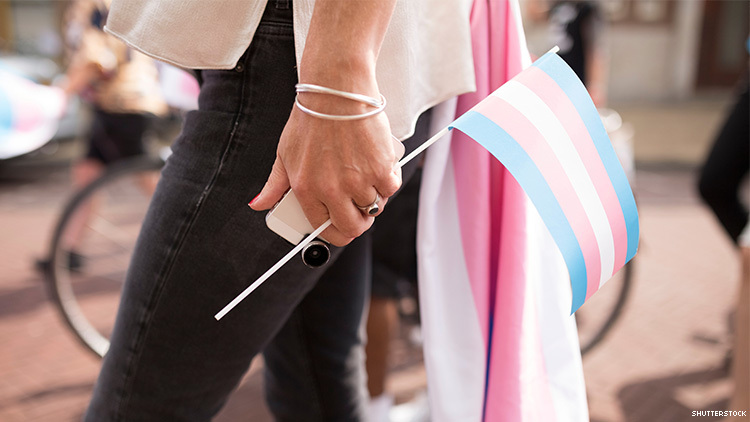 In a statement, Glennda Testone, executive director of New York’s LGBT Community Center, called the law “a major step forward” in ensuring trans New Yorkers are treated fairly under the law. Testone went on to say that, while the law is great, “one law is not a cure-all for the systemic oppression and discrimination that TGNCNB New Yorkers face” and called for the New York state legislature to pass a bill allowing the state to gather data on sexual orientation, gender identity and racial or ethnic identity of those who are the victims of hate crimes. Eric Lesh, executive director of the LGBT Bar Association of Greater New York, stressed to the Daily Beast just how much 2018’s midterm election and the “blue wave” played into this victory. This statewide victory comes on the same day that New York City mayor Bill de Blasio announced that transgender and gender nonconforming NYC residents will be able to get a third gender option — ”X” — on their IDNYC cards.